More Wild Cards Coming Your Way! John Picacio never disappoints, and neither does Tor.com and their amazing art director, Irene Gallo. We have a couple of brand new original Wild Cards story coming up on Tor.com, with John providing the illustrations, and Irene has just shared his cover for the latest, a Drummer Boy novelette from Stephen Leigh. 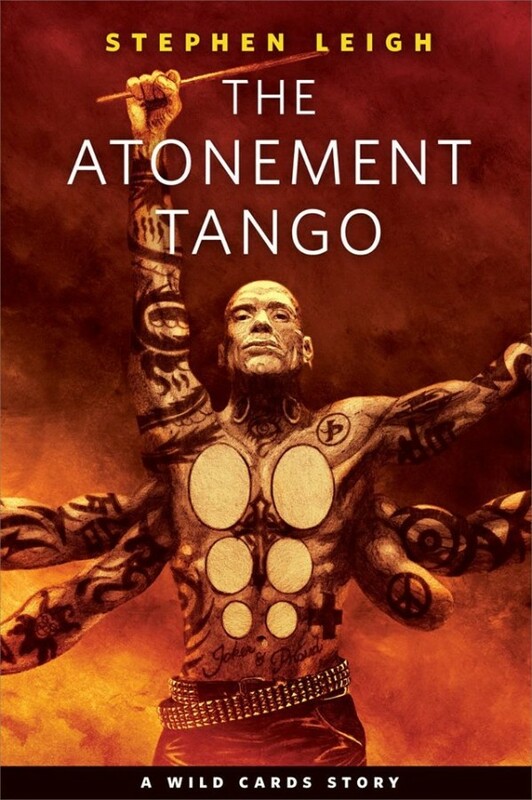 "The Atonement Tango" will be available -- for free -- on Tor.com on January 18 of the new year. You don't need to wait quite that long for your Wild Cards fix, however. On December 21, Tor.com will upload another WC story, Carrie Vaughn's "The Thing About Growing Up in Jokertown." And don't forget to check out the older WC offerings on Tor.com, some amazing original fiction by David D. Levine, Daniel Abraham, Cherie Priest, Carrie Vaughn, Paul Cornell, and Walter Jon Williams. You can find them all with a simple search, and read them all for free. The Recycler, Jonathan Hive, the Button Man, Earth Witch, the Understudy and Elephant Girl and the Sleeper, Pop Tart and Golden Boy... they are all waiting for you on Tor.com. Hi George, are readers supposed to feel suspect that Wex Pyke might be lying about Rickon being on Skagos? I mean there's no way he could have tracked Rickon and co. all the way to Skagos without being detected. Even if he did manage to track them all the way to the sea, how would he know that they went to Skagos instead of the free cities or north past the wall? Even if he had been a captive of Osha's, how did he end up in White Harbor? Lastly, how did Manderly men realize that this mute, uneducated Ironborn had something important to tell them?